Think you're cut out for the Mandalorians? Apply here! Talk about anything that comes to your mind here. 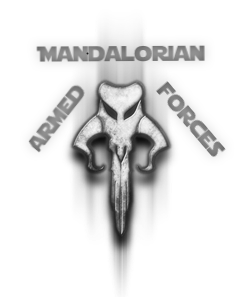 Not a Mandalorian? You think a Mandalorian has wronged you? Report them here. Post your crowning achievements here so we can chat about them!